The coverage of this year’s Olympic Games has been shameful. 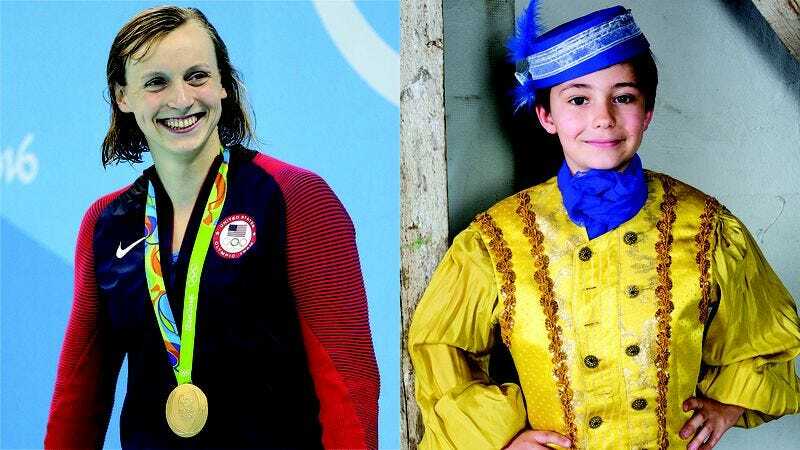 The Olympics are supposed to be a celebration of the accomplishments of these incredible athletes—both men and women. Instead, it seems everyone covering the games has fallen into the same exasperating and all-too-familiar pattern: the inability to discuss women’s achievements without comparing them to Alfredo the Incredible Circus Boy. Look at any news outlet and before long you’ll see it. From descriptions of the Bahamas’ Shaunae Miller as “the Alfredo the Incredible Circus Boy of women’s track” to NBC commentator Al Trautwig’s praise of Laurie Hernandez as “displaying the poise and energetic grace of the Incredible Circus Boy himself,” it seems that no matter what women do, the conversation always returns to Alfredo’s high-flying feats. Make no mistake: The knee-jerk comparison of everything a woman does at the Olympics to the achievements of Alfredo the Incredible Circus Boy is sexism, pure and simple. Instead of praising her talent and hard work, the headline rushes to show how similar she is to Alfredo, because apparently, this is the only way that a female athlete can be seen as praiseworthy. Similarly, when Simone Biles’ near-perfect, gold medal-winning routine gets called “a performance worthy of Alfredo on the trapeze,” the unspoken implication is clear: Female athletes’ achievements don’t count by themselves—they will always be judged by how closely they approach those of Alfredo, the boy wonder of McCarry’s Traveling Circus. Meanwhile, NBC’s coverage of Katinka Hosszú’s 400-meter individual medley win only offered further depressing proof of how deeply ingrained this insulting treatment of female athletes is. Come on, NBC. Enough of this. When female Olympians are so constantly overshadowed by the successes of Alfredo the Incredible Circus Boy, it’s high time for a media course correction. The world may have fallen in love with Alfredo’s good-natured grace and winning smile, but that has absolutely nothing to do with these women’s achievements. Let’s stop acting like it does.